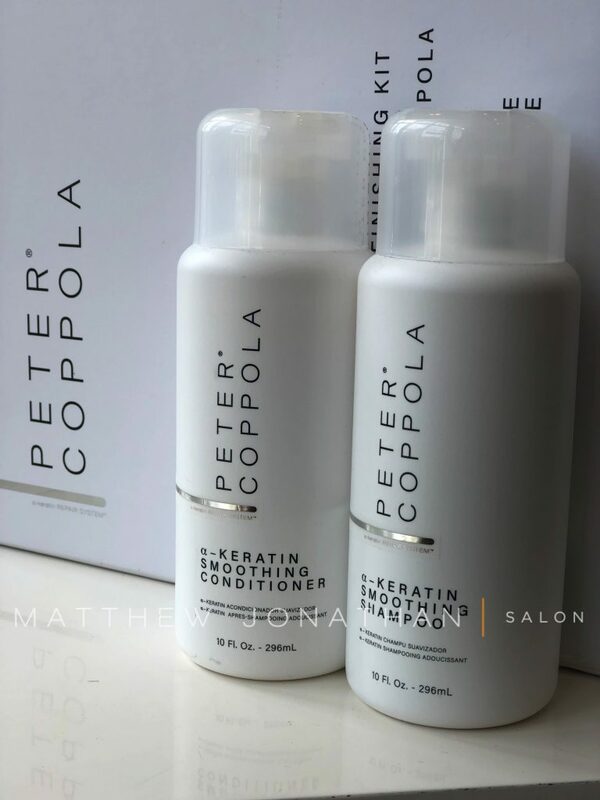 Comment if you would use this product on your hair ! 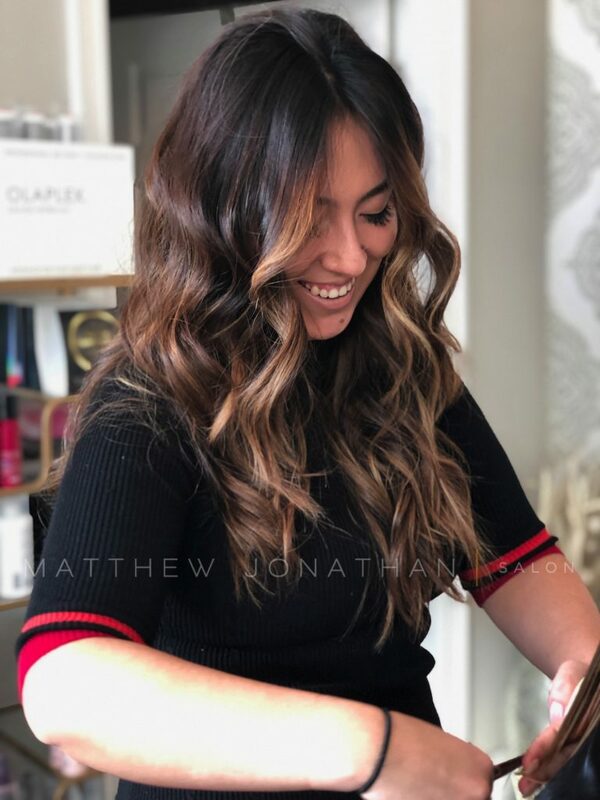 💫 Balayage by Matthew Jonathan on the lovely @oliviarosetm 💫 It was a pleasure having you in the salon, we look forward to seeing you soon! 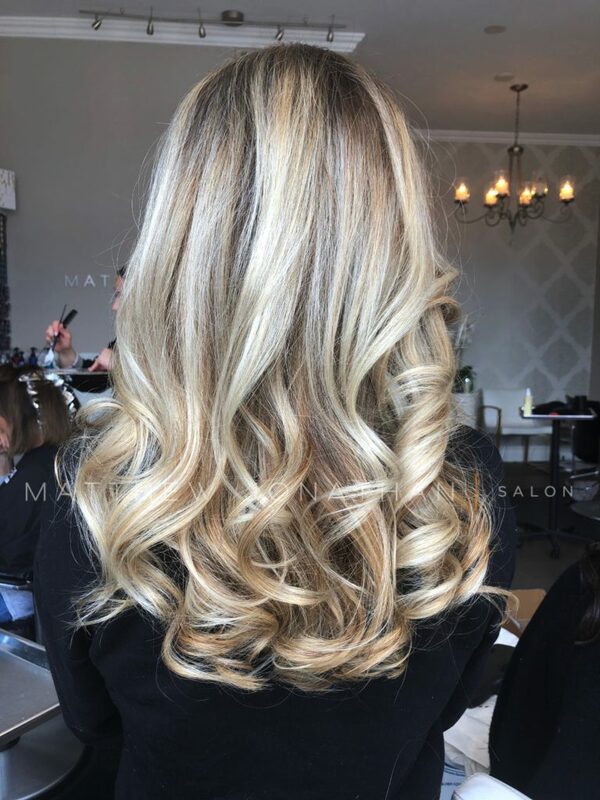 ☀️Comment your thoughts on this balayage, we love hearing from you all! 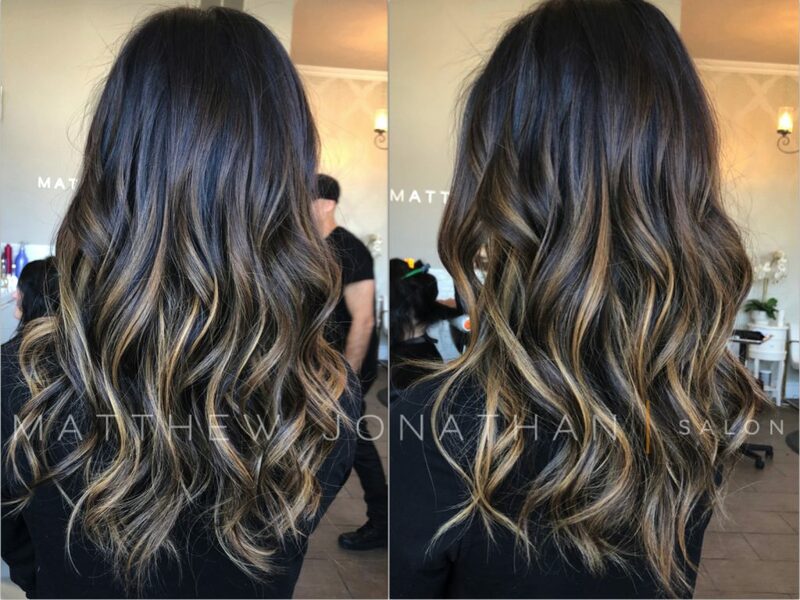 Balayage by Matthew Jonathan and styled by Sunny. This highlighting method can be used on anyone. The whole goal of balayage highlights is to leave you with natural-looking, sun-kissed hair. One of the best parts of Balayage compared to standard highlights is how easy it is to maintain. With Balayage, your hair grows out more naturally with fewer regrowth lines. This means you won’t have to go to your stylist for recoloring as often making it the perfect technique to work into a busy schedule. Balayage works with almost all hair lengths and hair styles making it one of the most requested services today. Here are some warm tones to help us get through this cold weather, this balayage was done by Senior Stylist Lexi. Balayage is a french term that means “to sweep”. 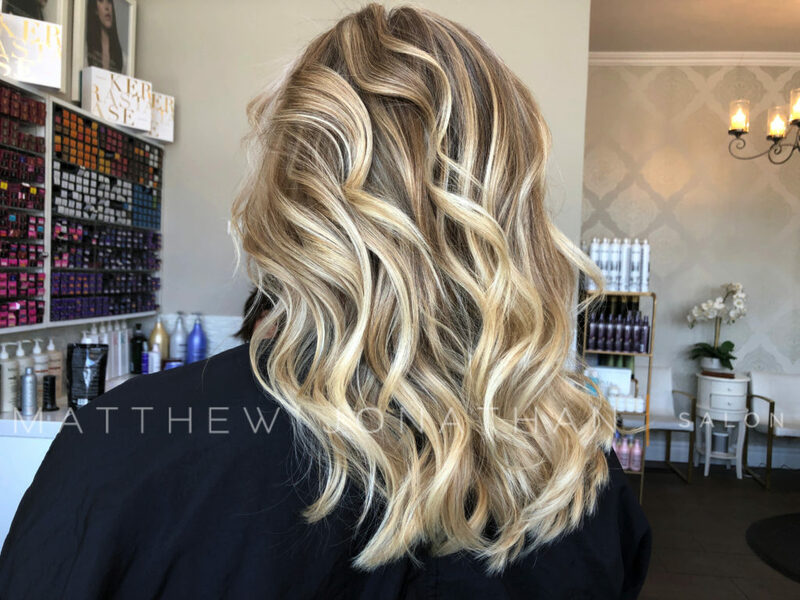 When you’re using a balayage technique, you’re literally painting lightener onto the hair in a sweeping motion to achieve a stunning low maintenance look. Book a balayage to get hair like this! Whether you prefer subtle and sun-kissed or bold and dramatic, highlights are the perfect way to enhance your natural haircolor. This clients hair was lightened and toned with beige and silver tones. Follow us on Instagram for weekly giveaways every Wednesday! 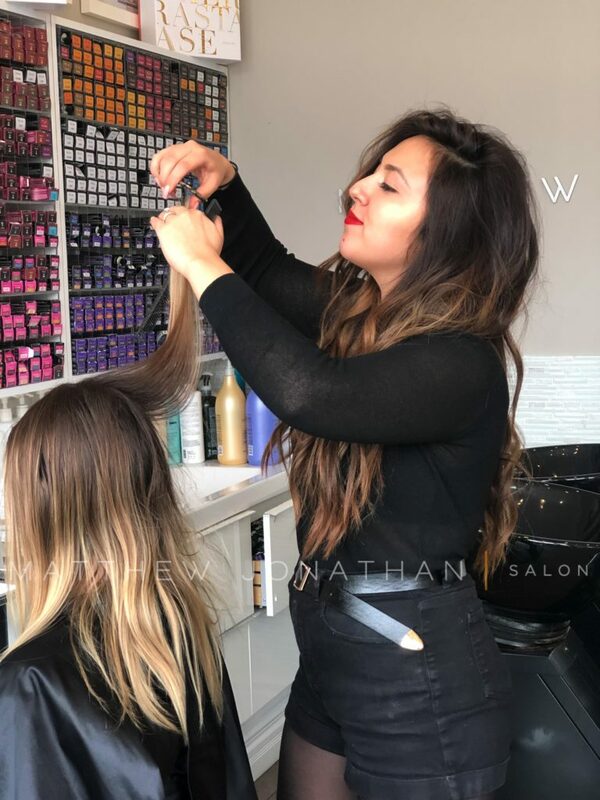 Download the Matthew Jonathan Salon App to stay up to date on your appointments! 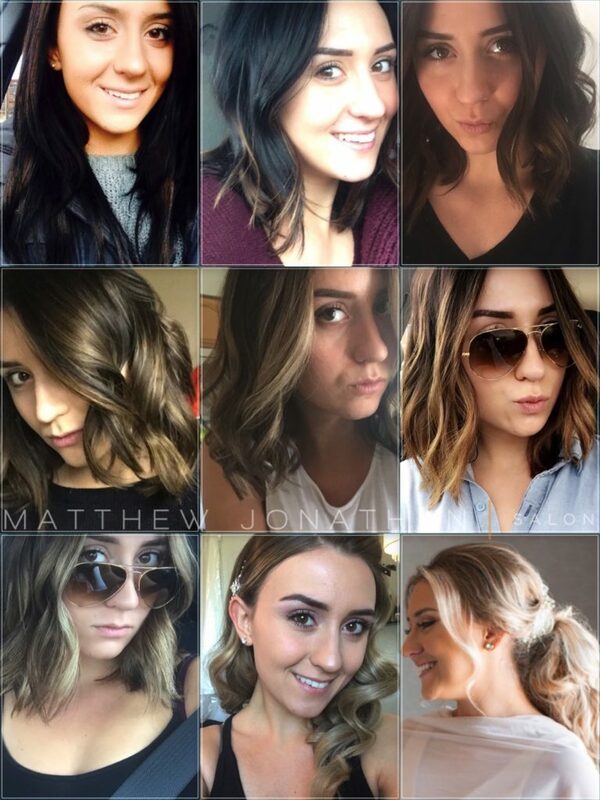 The Matthew Jonathan Salon app is available for free on the App Store and Google Play Store. 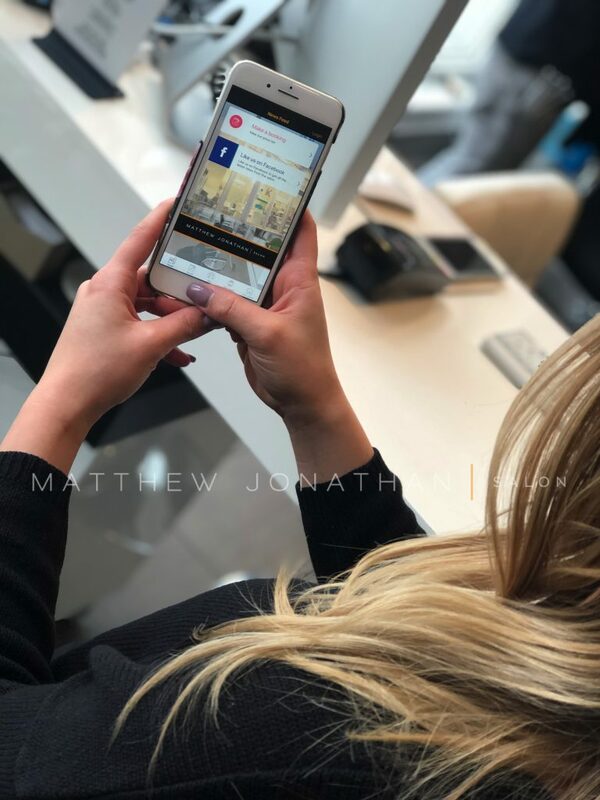 The Matthew Jonathan Salon app gives you the opportunity to stay up to date on all appointments and also book and manage them right from your phone! You can also check the balance of Treat Card points that you have accumulated and view the different treats they can be redeemed for. 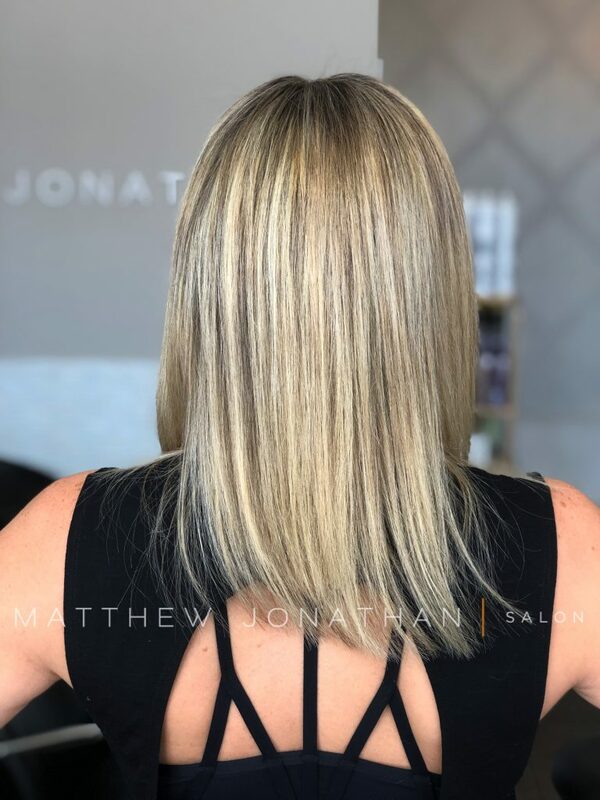 The app also features salon photos of hair that has been done at Matthew Jonathan if you need inspiration on a new look. Clients can check prices and have quick access to our salon’s contact information, all from the app. 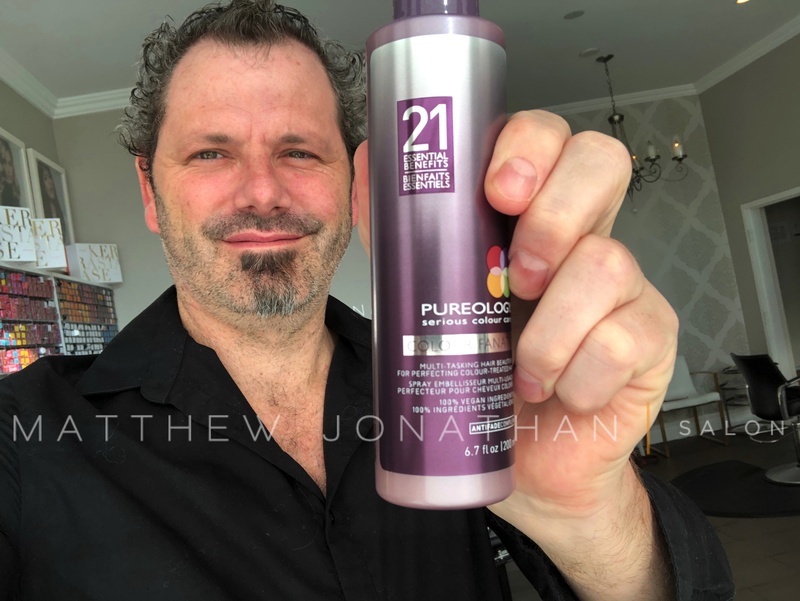 Download today for all things Matthew Jonathan Salon!